Love Live! Sunshine! 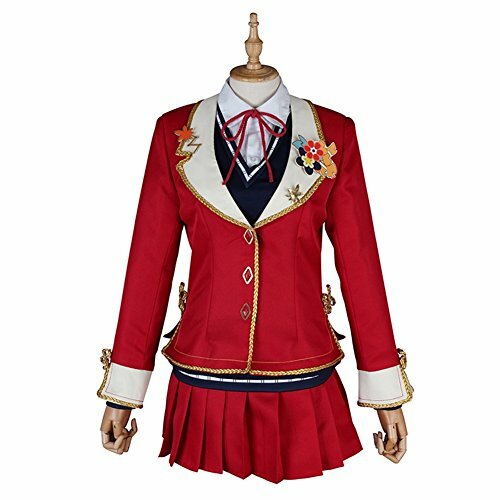 Aqours Dia Kurosawa Red Leaves Cosplay Costume by starfun at Fdccla. Hurry! Limited time offer. Offer valid only while supplies last. Package includes: shirt, vest, coat, skirt, stockings, tie. Attention: Our size is Asian size, please choose size based on our size chart and your figure. We need about 12 days to prepare the costume, please be paient and we'll confirm shipment once it is finished. Standard delivery needs 8-23 days, expedited delivery needs 3-7 days.